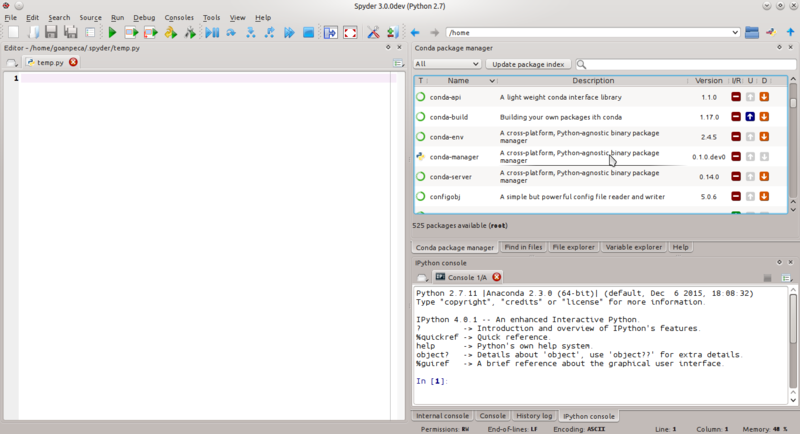 Want to be notified of new releases in spyder-ide/conda-manager? 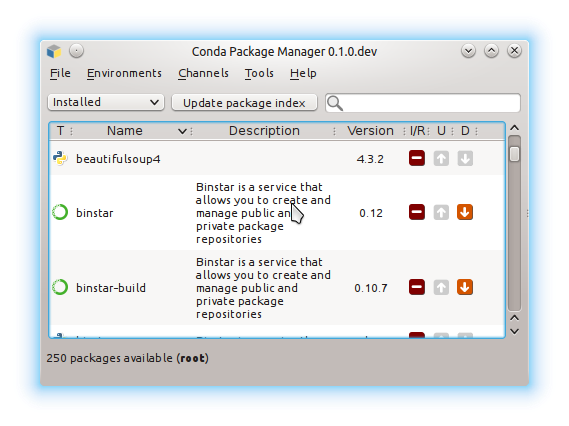 conda-manager is a stand alone Qt application (PySide, PyQt4, PyQt5) providing a friendly graphical user interface for the management (update, downgrade, installation and removal) of conda packages and environments. This project also installs as a plugin for Spyder to manage conda packages from within the application.